Katie Tarr has spent her entire career in healthcare. She started working as a financial analyst with a health system in Columbus, Ohio, right out of college. She continued there until she moved to Nashville and began working at LBMC. "I got into healthcare because I was offered a good job with a great company. I have stayed in healthcare because in each role and at each company, I have had an opportunity to have a meaningful impact," she explained. Tarr specializes in healthcare valuation. With a focus on physician compensation valuation, she helps operators nationwide recruit and retain physicians to provide clinical, administrative, call coverage and other professional services at compensation levels that are compliant and align with their mission, goals and financial objectives. "LBMC has a presence in 47 states," she noted. "I talk to clients across the country, every day." She believes a depth and breadth of expertise is increasingly critical considering healthcare's complexity and rapid change. "Once you find your niche, it is important to step back and have an understanding of all aspects of your industry from the front line of patient care to the back end information security," she said. "Understanding the big picture will allow you to find synergies and be better able to solve problems, as well as identify best practices and provide value to your company and clients." Tarr continued, "One of the values of working at LBMC is that just down the hall are other national healthcare experts who specialize in other fields within the industry. I love that I get the opportunity to learn from them." 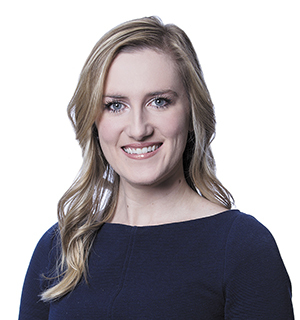 When asked how she would define success, Tarr said, "For me, I strive to partner with clients and staff so they can both flourish in achieving their growth goals." For her clients, that means solving problems quickly and efficiently so they can devote more time to serving patients. For her team, it means providing meaningful development opportunities. "I am passionate about mentoring and coaching our employees to be future leaders," she stated. Tarr feels strongly that it's important for both men and women to champion female leadership. She credits a number of role models, including her father and the director over the department in which she started her career, with investing in her professional and personal development. She also welcomes the chance to pay it forward by helping others. She cites the example set by her colleagues and past mentors as a reason she accepted a role on the company's Women's Initiative Network steering committee. "When I joined my department at LBMC five years ago, I was the only woman," she said. 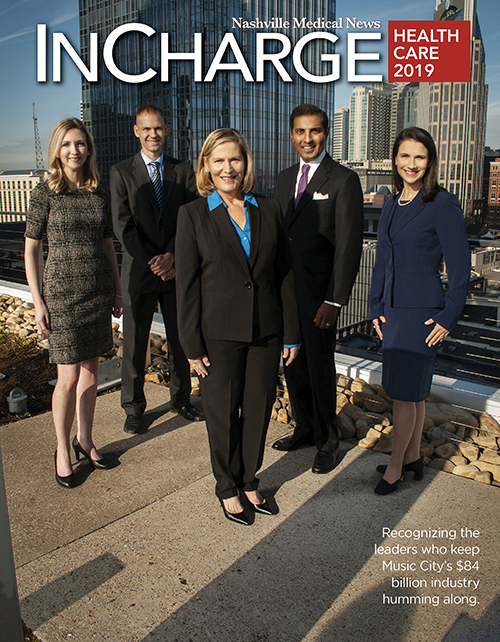 "Today, our team has grown significantly, and nearly 40 percent of team members are women." Another great passion is working with the non-profit organization Nurses for Newborns of Tennessee, which has a mission to prevent infant mortality, child abuse and neglect. Tarr has served on the advisory board for three years and is currently the board president. 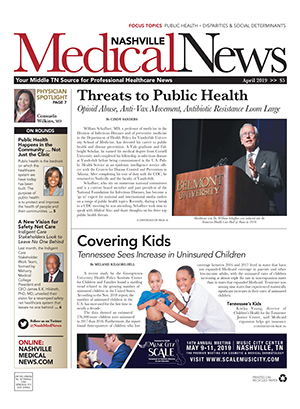 "It's the only organization in Nashville where registered nurses make home visits to infants and new mothers," Tarr noted, adding the organization offers a range of services from education on safe sleep and counseling to introducing families to other area resources in an effort to "save babies and strengthen families." While Tarr's profession plays to the strength of her analytical mind, she also possesses an artistic and adventurous soul. Although both she and husband Eric grew up in Ohio, the couple jumped at the opportunity to move to Nashville when Eric was offered a faculty position at Belmont University's Curb College of Music Business. She has made the most of living in Music City attending local events and concerts. She has even been an extra on several episodes of the television show, "Nashville." The couple is also very invested in university life and the students both she and Eric mentor. Tarr is quick to say she learns as much from the students as they do from her. "Their passion for others and joy is infectious. They also try to help me stay 'cool' by keeping me up with the latest trends and music," Tarr added with a rueful grin. Living in the 12S area, Tarr said she and Eric enjoy strolling through Sevier Park, going for a run down Belmont Boulevard, or having dinner in the trendy area. Favorite restaurant? "Whichever one doesn't have a line that night," she replied with a laugh.